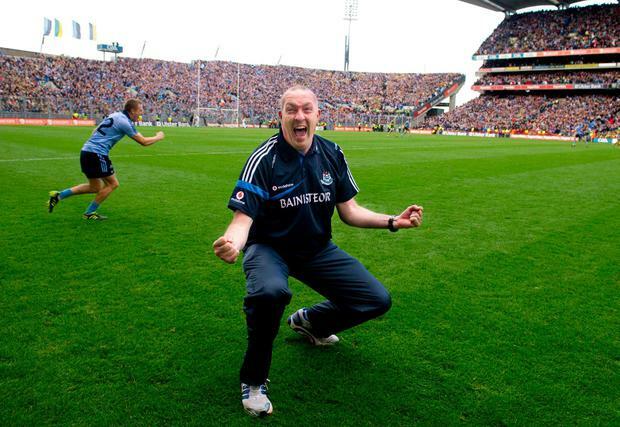 SOMEWHERE between taking the Dublin hurling manager’s job in September last year and his final match in charge in June, Pat Gilroy distilled the team’s many and varied problems into two chief issues. The first was the concession of scoreable frees, a nuisance tendency all year. But as Gilroy admitted in an end-of-season interview with The Herald, a not-entirely-unexpected by-product of his team’s new, physically abrasive style. The second problem was more abstract: the collective inability of his team to see out a match in which they were leading late-on. That shortcoming – one he faced and successfully remedied with the Dublin footballers in his first two season as their manager at the turn of the decade – had cost the hurlers victories against Kilkenny in Parnell Park and Wexford in Wexford Park, a combination of results that painted them out of the Leinster final and All-Ireland series pictures. Part of that failing was psychological, Gilroy suspected, and part was physical. But other than that, all in the Dublin senior hurling set-up at the end of his debut season as manager was not only hunky but dory as well. From inheriting a basket case, where many of the county’s best hurlers hadn’t been involved, where there were suspicions of rifts between those who soldiered through the last, dispiriting days of Ger Cunningham’s time, Gilroy had assembled a strong, unified squad. Anyone with justifiable talent who wanted a crack at making the panel got one. And anyone with a faint heart was dissuaded by the 6am winter training sessions. Gilroy had investigated the reasons why so many players had not played for Dublin the previous year and reported that he had found no common theme. The only uniform opinion expressed to him was that those within the squad wanted the best possible players inside the dressing-room and the re-establishment of the team as a competitive force again. The League was effectively burned so the squad could undergo the physical work required to mould them into the sort of team Gilroy preferred. By summer, Gilroy had moulded a defence that conceded just a single goal in four Championship matches and a half-back line of Chris Crummey, Seán Moran and Shane Barrett that had the makings of the best in the game. He had cobbled together an aerially-powerful attack, with Liam Rushe and Conal Keaney in the pivotal attacking roles. As a team, they looked only a better-balanced midfield and a bit of attacking pace away from the game’s best sides. Moreover, Gilroy stressed his intention in that interview to “shake every branch and tree to find anyone who can add to the thing,” for 2019. He suggested a greater Cuala influence next year. Donal Burke and Eamonn Dillon, both of whom missed effectively every important match of 2018, would be back as options up front. Only Ryan O’Dwyer was retiring. There was even giddy whisper of Diarmuid Connolly and/or Rory O’Carroll possibly coming on board. Now, it’s difficult to see which of these platforms can be stored and used as Dublin go on an unexpected hunt for Gilroy’s replacement. The phone call he made individually to each of this year’s squad on Sunday night came as a sledgehammer blow to most who had already begun their own physical preparations for the 2019 season. Winning the League had already been silently identified as an achievable target. Now all involved are contemplating another season of establishing themselves under a new man in a new system and a new environment. The under-the-surface progress made by the group to simply become a viable team again this year with Gilroy shouldn’t be under-estimated but neither is it future guarantee of anything. Would any other manager have convinced Danny Sutcliffe to come back to Ireland? Would another man have seen the wisdom in coaxing a then 34-year-old Keaney out of inter-county retirement after two years away from that level of hurling? Would anyone but Gilroy have tapped into the sense of unfinished business Alan Nolan clearly felt? So the new man faces an initial test to rebuild the spirit of this group in a different way than Gilroy did. When Gilroy arrived, they were flattened by division and dispiriting losses. Now they’ve had their hard-earned optimism quashed unexpectedly. Anthony Cunningham, Mattie Kenny and Anthony Daly have inevitably been touted as replacements and all are strong candidates. Liam Sheedy and Nicky English too, but if neither is interested in the currently vacant Tipperary job, it’s hard to envisage either as Dublin manager for 2019. It may well be that the new manager makes Dublin more successful than Gilroy would. But it’s possible that they may to take a step back before striding forward again. And Gilroy’s tenure as Dublin hurling manager will be lamented as one of those what-might-have-beens.